A Network of Experts to meet your training needs! Jim brings a unique set of experiences and training to the discussions of violence prevention, personal safety, physical security, psychological first aid, threat assessment and intervention. After a short stint as a park ranger, Jim spent the next 28 years in the public safety arena in municipal law enforcement, higher education public safety and the fire service. He has led an award-winning department, as well as highly regarded community policing programs. His public safety leadership responsibilities have also included municipal crime analysis operations, crime prevention services and a behavioral threat assessment team. He has provided leadership in developing a fire district emergency operations center and coordinating emergency planning. In addition, Jim has delivered highly regarded training, consulting and coaching in the corporate environment, education arena, government sector and non-profits. Jim currently serves as the Executive Director of The Oregon College and University Public Safety Administrators Association, he has also held positions as President of the Western Association of Campus Law Enforcement Administrators and Vice President of The California Crime Prevention Officers Association in addition to other municipal and state commission, work group and task force appointments. 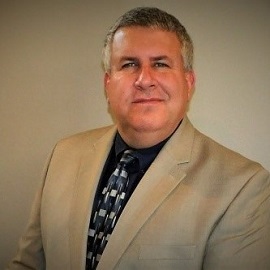 Jim’s extensive training experience in violence and physical security includes Crime Prevention Through Environmental Design, Crisis Communication, Psychological First Aid, Public Information, Advanced Prevention of Crime, Violence Response, CERT, Emergency Planning, Behavioral Threat Assessment, Personal Safety and Public Safety Leadership.